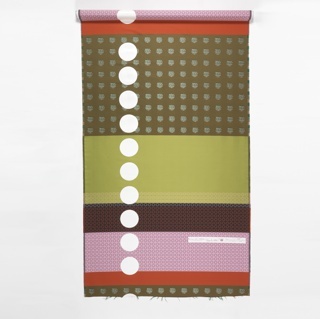 See more objects with the tag stripes, domestic interiors, offices, loops, curtain, curving line, large repeat. See more objects with the color dimgrey rebeccapurple dimgrey darkslategrey or see all the colors for this object. This is a Textile. It was produced by Knoll Textiles. It is dated 1972 and we acquired it in 2011. Its medium is cotton and its technique is screen printed. It is a part of the Textiles department. Gretl and Leo Wollner met and married in the late 1940s while studying textile design under Eduard Josef Wimmer-Wisgrill, founder of the fashion division of the Wiener Werkstätte. Leo later worked for architect Josef Hoffmann. Through the 1950s, the couple became known for their work with Pausa AG, a German printer known for innovative, high quality designs. When Barbara Rodes took over the textile division of Knoll International, she initiated a rich collaboration with both Pausa AG and the Wollners. The Wollners developed new printing techniques for Knoll, including the use of oversized screens so large they required four workers to manipulate—this enabled the production of floor-to-ceiling prints with no repeat. These large prints were introduced by Knoll as the Three Meter Prints collection: Rivers, Roads, Sails, and Trails. 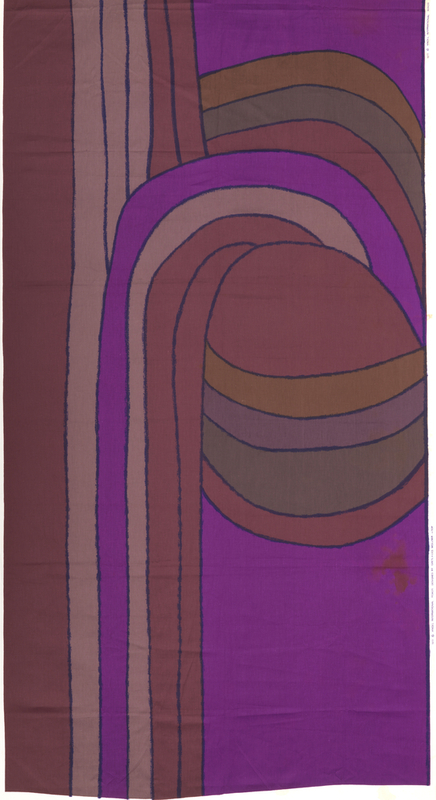 Roads, together with Rivers, another textile proposed for acquisition, would be the first designs by the Wollners in the museum’s collection. It is credited Gift of Cindia Cameron.